Ps Shane & Stacia Crawford have a passion for seeing people not only find Jesus, but find fulfillment in serving Him. Joining a community that lives beyond themselves, filled with the Holy Spirit and making a difference in the community. They are passionate about The Church and the cities they are planted in. Born and raised in Australia Shane joined YWAM, travelling and spreading the gospel with their ministry until 1987. 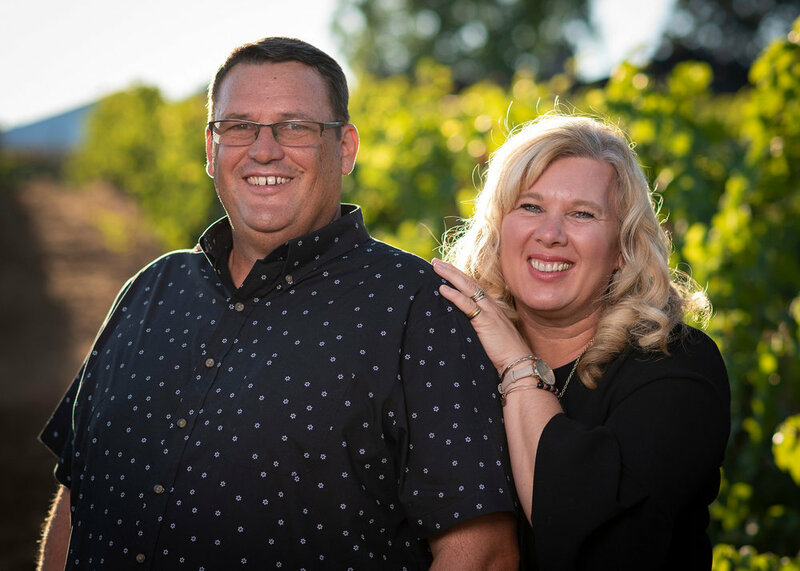 Landing on the shores of Portland, he met and married Stacia and there they served two great churches until setting it out to plant on their own in 1997. Shane & Stacia have the joy of parenting four beautiful children; Chelsea, Ashleigh (married to Brandon Gilbert) , Marissa and Preston. They have one grandchild, Adeline, and one more on the way this summer. 1/ There is one God: God the Father, God the Son, and God the Holy Spirit. 2/ In the deity of our Lord Jesus Chris the Son of God; we believe in His virgin birth, in His sinless life, in His miracles, in His victorious and atoning death, in His bodily resurrection, in His ascension to the right hand of the Father, His constant intercession and in His imminent return. 3/ In the person and work of the Holy Spirit with His fruits and gifts available in the Church; The Bible is the living word of God. It is infallible, authoritative and everlasting and is the foundation of all Christian doctrine. 4/ In the existence of an evil spiritual being known as the devil. 5/ In the spiritually lost condition of all people and the essential need for the new birth by faith in Jesus Christ. 6/ In the baptism of the Holy Spirit as a gift available to believers subsequent to the new birth, with normal evidence of speaking in other tongues. 7/ In the sacraments of the Lord’s Supper and baptism by full immersion in water for all believers. 8/ In the resurrection of both the saved and the lost, the one to everlasting life and the other to everlasting separation from God. 9/ In the church being the body of Christ, and each member being an active part of a local church, fulfilling the Great Commission. We are a church for the city, the city for God. We have a vision to see 5 C3 Churches across the Portland Metro area and see Portland alive in Christ. What is C3 Church Movement? C3 Church Portland is part of a global family of churches around the world. As an international family, our members are able to walk into any C3 Church around the world and know they're home. We are united with Christ in His vision, and therefore our mission, to save the lost, make disciples and build His church. It is C3 Church Global’s vision to plant 1,000 healthy, growing churches by the year 2020.